Spring semester always seems to bring a sense of excitement and opportunity, which has served as inspiration for this month’s Student Enterprise Programme blog. Since the start of classes back in January, we have hit the ground running. Our first workshop of the new year, ‘Let’s Talk Social Enterprise’ was delivered by Colin McMillan from Firstport, with support from Veronica Ferguson from Converge Challenge. This informative session equipped participants with the essential facts as well as a dose of inspiration to think of ways that social enterprise can address societal and environmental problems. February will be chock-a-block with interactive enterprise sessions for you. 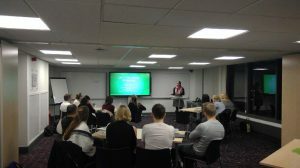 On Thursday, the 9th of Feb we were thrilled to welcome Dr Darren McGuire from the Stirling Management School to deliver a workshop on Corporate Social Responsibility (CSR). Join us this week (tomorrow if you’re reading this hot off the press) when we are pleased to be joined by our colleagues from Enterprise Campus West to host an Enterprise Campus Surgery for postgraduate students on the 15th of February. Don’t miss this fantastic opportunity to speak one-to-one with their Business Advisor to explore the potential next steps for your idea. We will also be running our annual enterprise competition, The Entrepreneurial Quest which takes place on Wednesday the 15th of March. All you need to participate is an idea and a short pitch to explain it! In the course of one evening, three expert judges help you to develop your idea by listening to your plans for marketing, finance and business planning. You get immediate feedback from the experts and are in with a chance of winning an exciting package of support, including access to incubation, and the chance to progress to represent the University at the Santander Universities Entrepreneurship Awards, competing for a share of their impressive national prize pot. 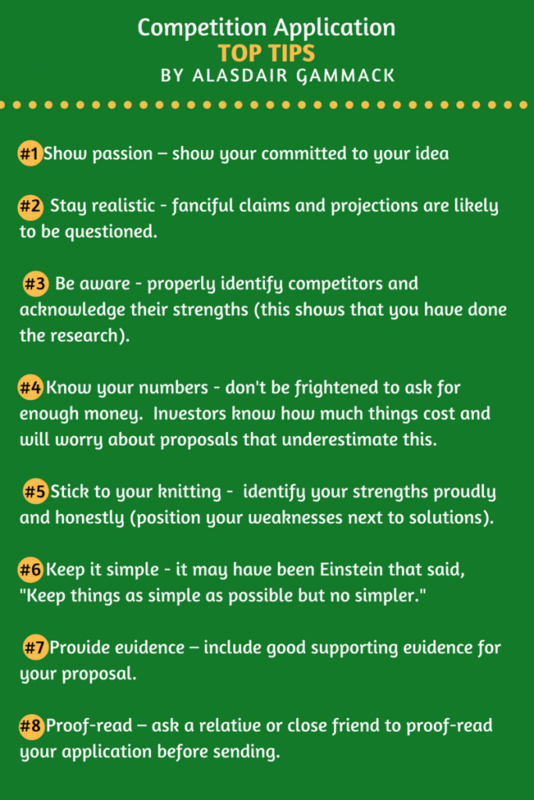 The Quest competition is unique as it provides a supportive atmosphere in which you can deliver your pitches one-on-one with each judge – No matter what stage an idea is at, you will gain valuable individualised feedback from the judges. Interested to find out more? Make sure you sign up for our Quest info event on the 2nd of March. To register complete our simple application form which can be found on the Student Enterprise webpage. The Quest is also a great opportunity to warm up your pitching skills and further develop your idea/start-up before entering external competitions, which the spring semester is filled with! Do you have an idea for a social enterprise? Have you thought of a sport-related product or service? Feeling passionate about a wellness-related idea? 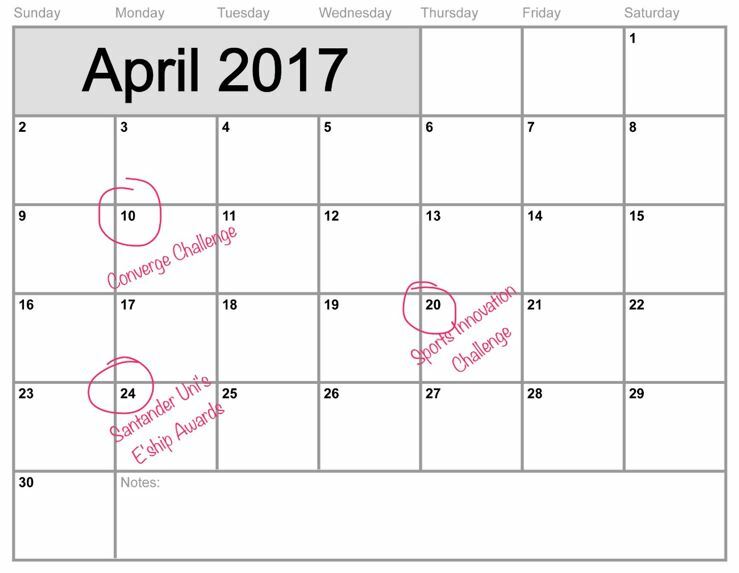 Pull out your diary to mark down the key competition registration deadlines for Converge Challenge ; Sports Innovation Challenge & Santander Universities Entrepreneurship Awards* and have a look to see which ones are right for you! 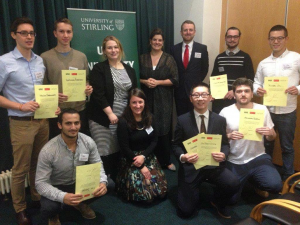 We appreciate that competition applications can seem daunting, so we sat down with Student Enterprise Manager, Alasdair Gammack to get his top tips for applying to competitions. Have a read through and also don’t forget that for personalised support with applications you can contact us at: studententerprise@stir.ac.uk. The Student Enterprise Programme supports students to develop skills for entrepreneurship and intrapreneurship. The Student Enterprise Programme, operated by Research & Innovation Services, consists of skill-building workshops, informative events, competitions, mentorship and incubation opportunities. Student Enterprise Programme supports students to develop their skills for the future world of work, build confidence and contribute to the enterprising and innovative culture on campus.